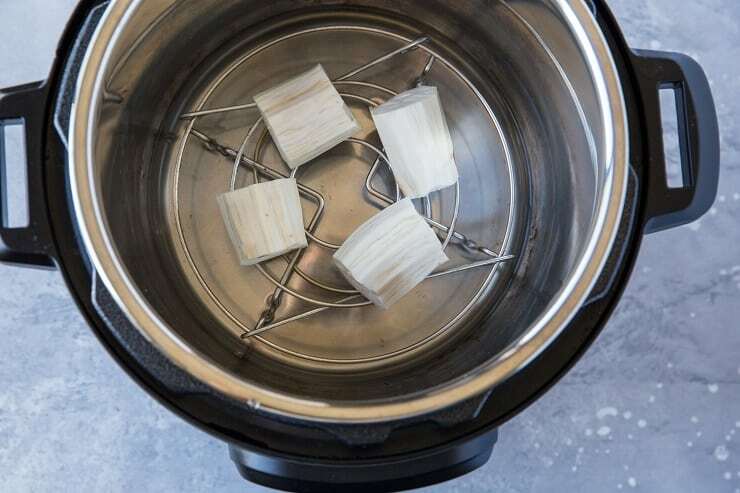 An easy photo tutorial on how to cook yuca in the Instant Pot (or pressure cooker). Yuca (a.k.a. caassava) is a lovely starchy root vegetable that can be incorporated into all sorts of dishes, similar to potatoes. Yuca is one of my favorite root vegetables, and I don’t discuss it nearly enough! I just discovered my new favorite technique for whipping up the root to have on hand for all the meals. Spoiler alert: It’s the Instant Pot Yuca method, and I adore it so. If you aren’t familiar with yuca (or cassava), here’s the gist. Yuca (pronounced “yoo-kuh”) is a very starchy root vegetable that is very common in Latin American, South Asian, Caribbean, and African cuisine. Look at it as a potato on steroids. It’s just that carb-o-licious. Many moons ago, I posted a recipe on How to Cook Yuca Root, which uses the stove top method. When I went to the Dominican Republic a few years ago, I consumed more than my weight in yuca. It’s just so dang good! Funny enough, after I bought my Instant Pot, one of the first things I wanted to do with it was cook yuca. 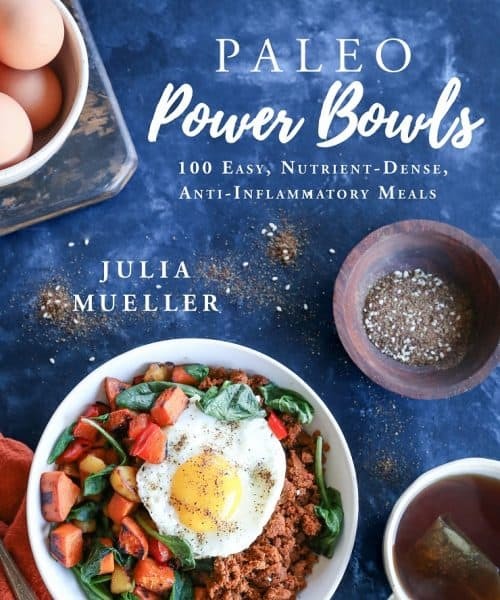 I figured it would be an easy method since you simply walk away from the machine and don’t need to hover over the stove top or poke and prod at the yuca. Mission accomplished. Cooking yuca in a pressure cooker is silly easy! 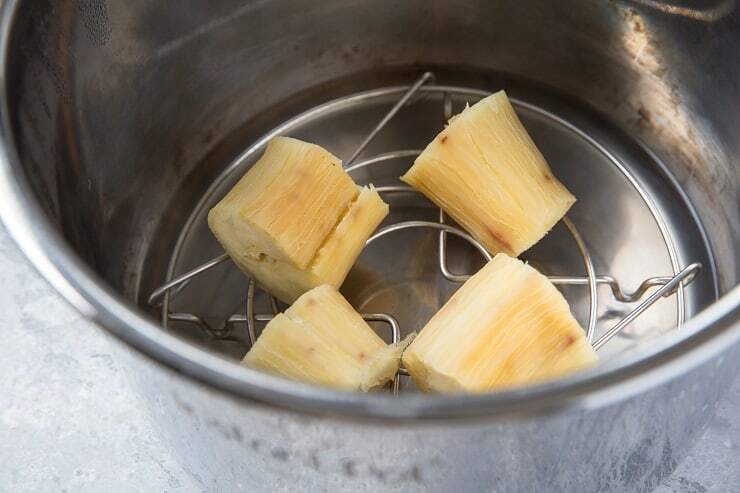 I will say, it takes longer to cook yuca in the pressure cooker than boiling it on the stove top, but it gives me the peace of mind that the root is cooked thoroughly and I love that I don’t need to second guess if it is ready or check on it. 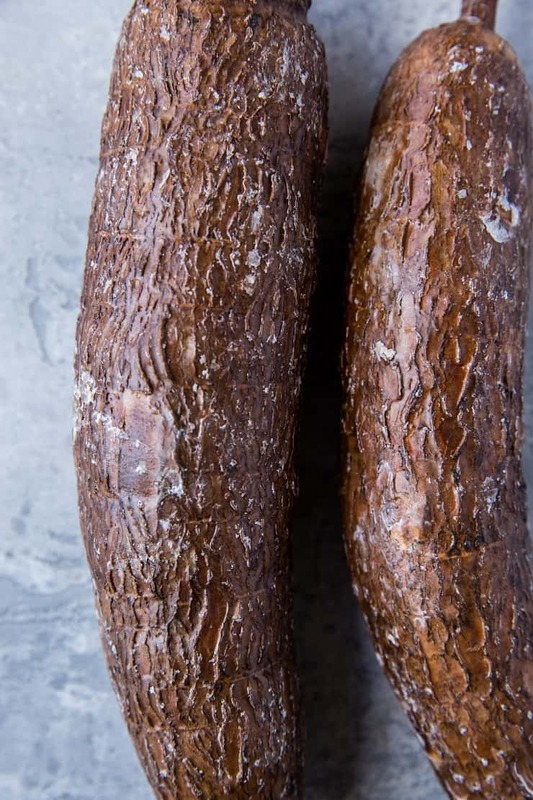 A cautionary tale: The thick skin of the yuca root is toxic as it contains cyanide. For this reason, it’s crucial you peel the skin prior to cooking the root. 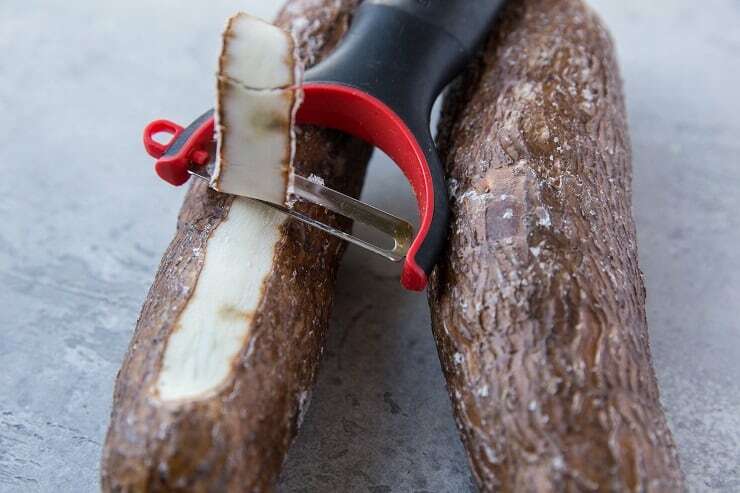 Chop the ends off of the yuca root and use a vegetable peeler to remove the thick brown skin. Once the root is completely peeled, chop it into 3-inch hunks. Plug in your Instant Pot (or pressure cooker) and pour in 1 ½ cups of water. Insert the wire rack that came with the pressure cooker. Place the peeled and chopped yuca on top of the wire rack. Secure the lid, and pressure cook on High for 50 minutes. Once the pressure cooker has run its cycle, allow it to go into keep warm mode for 20 minutes. During this time, you can prepare your yuca toppings. Saute onion and garlic in butter with lemon zest and parsley for a delicious serving method. There is plenty of room for experimentation here! You can add the cooked yuca to soups, stews (I use it in beef stew…YUM! ), or make a mojo sauce for it. The yuca root will turn from white to yellow during the cooking process and will begin to split open. 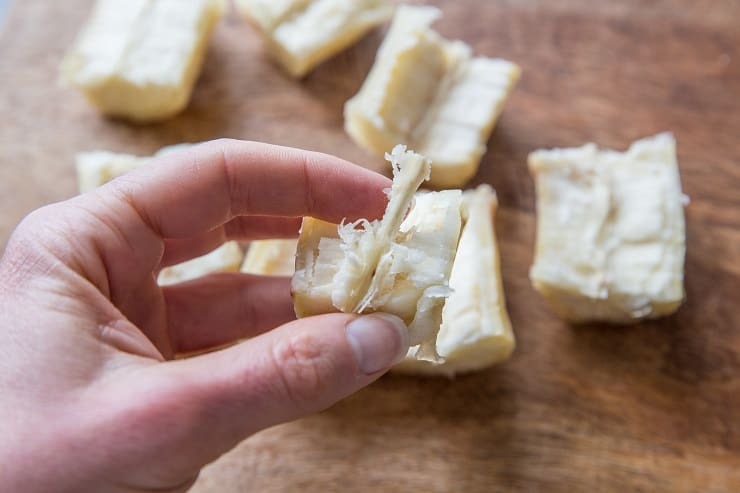 Once the yuca is fully cooked and cool enough to handle, open each chunk of yuca and remove the hard spine in the center. 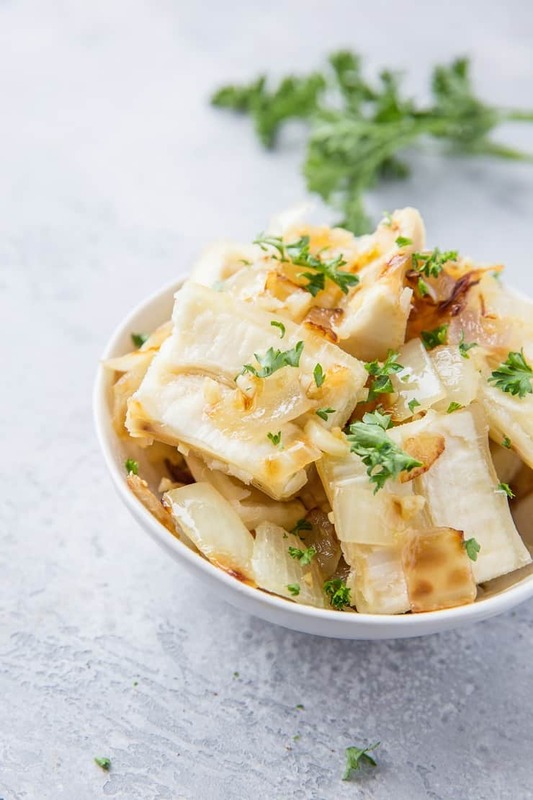 Top the yuca with your sauteed onions, garlic, and parsley (or sauce/toppings of your choosing), and enjoy! 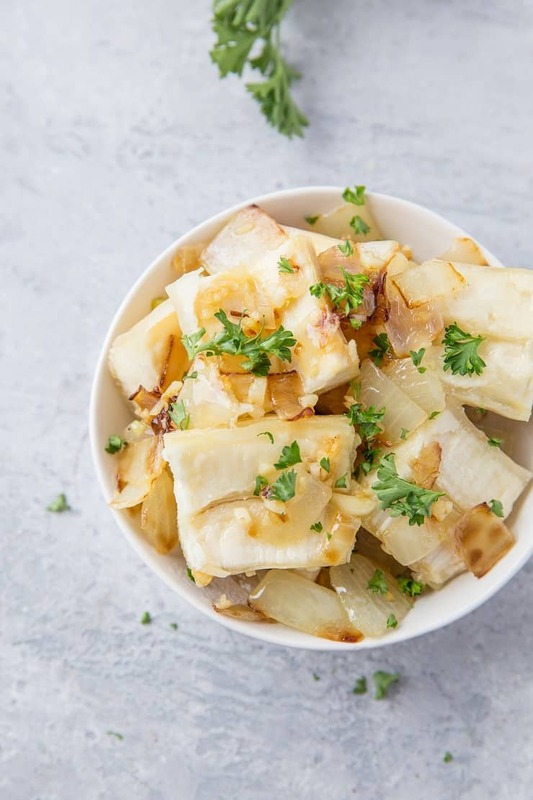 If you make this Instant Pot Yuca, please feel free to share a photo and tag @TheRoastedRoot on Instagram! is there a printable recipe for this?